Sneaking veggies never felt so awesome. 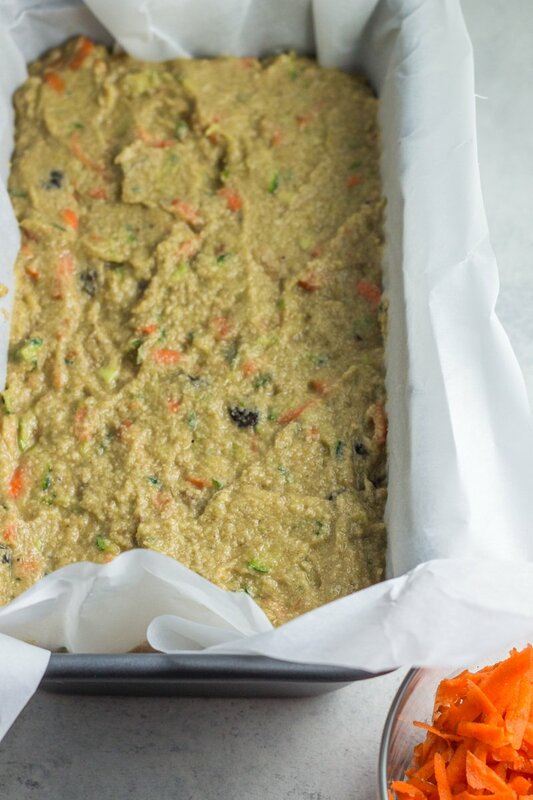 This paleo morning glory banana zucchini bread is a nutritious and simple recipe loaded with shredded carrots, zucchini, and avocado. Naturally sweetened and so easy to make – you’ll love this grain free version of a classic. 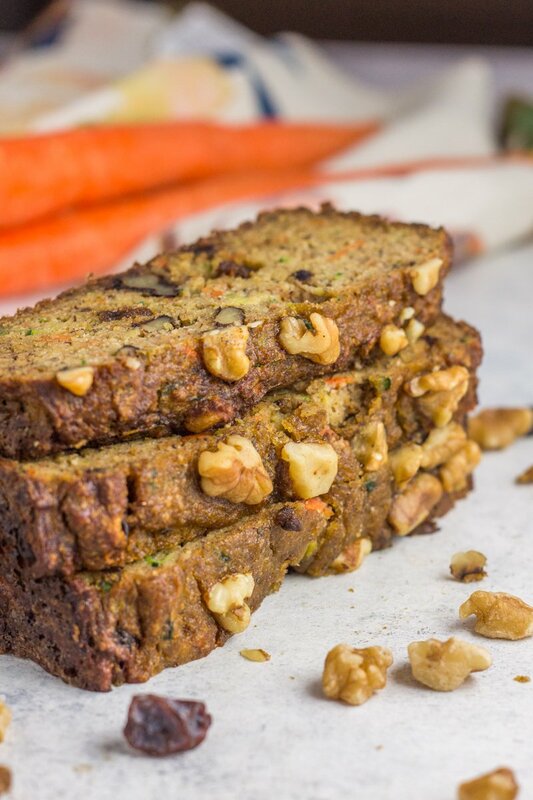 It’s a mouthful – paleo morning glory banana zucchini bread. But there were so many other things I wanted to pack into this recipe title. Like ‘naturally sweetened paleo morning glory banana zucchini bread’. 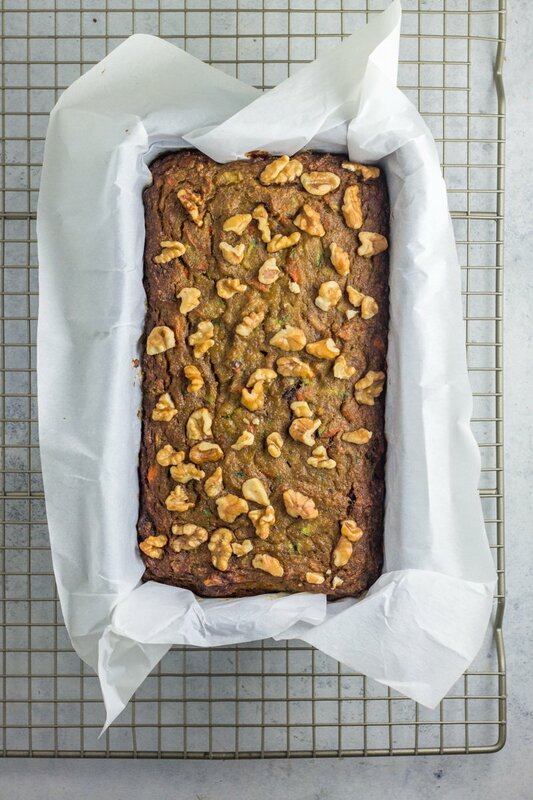 Or even ‘paleo morning glory banana zucchini bread with other hidden veggies’. Heck, I was close to throwing down something like ‘the best paleo bread of your life with lots of healthy veggies and texture and the perfect sweetness all bundled up into a loaf’ but that was waaaaaay too long. So I kept it simple…sort of. Just like this sweet treat of a breakfast or dessert delight. It’s super simple, but packed with lots of good stuff. This paleo morning glory banana zucchini bread is it. I can confidently say nothing else has a perfectly balanced blend of ripe bananas, shredded zucchini, shredded carrots, avocado, and walnuts. Nothing. Nada, zip, zilch. This is da best. 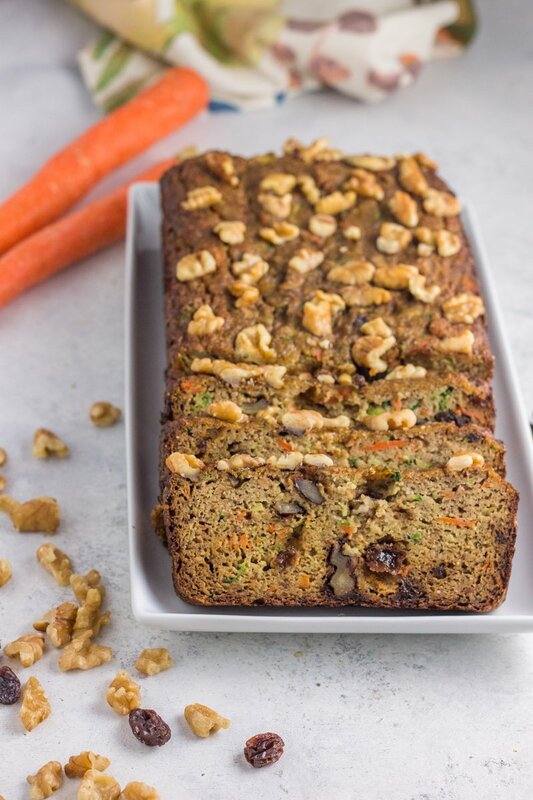 A healthy loaf of goodness that’s so delightful, it’s hard to believe it’s grain free, dairy free, and sweetened only with naturally ripe banana and a splash of pure maple syrup. That’s it. Plus did I mention all the veggies? Traditional morning glory bread calls for shredded coconut, but I left it out of this one (mainly because I wanted my hubby to eat it). But if coconut is your jam (like it is mine…yes, please feel sorry for my that it makes my husband gag), you can absolutely add unsweetened coconut shreds into the batter for an even BETTER bread, if I do say so myself. 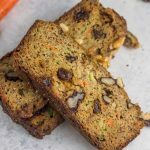 This paleo morning glory banana zucchini bread will knock your socks off and have the kiddos begging for more. If you’re going to bake a dessert bread of greatness, why not pack it with some healthy stuff while you’re at it?! And be sure to try these other nutritious baked treats! Paleo apple bread, paleo glazed banana bread donut holes, paleo strawberry banana cereal bars, and these almond butter strawberry zucchini muffins. 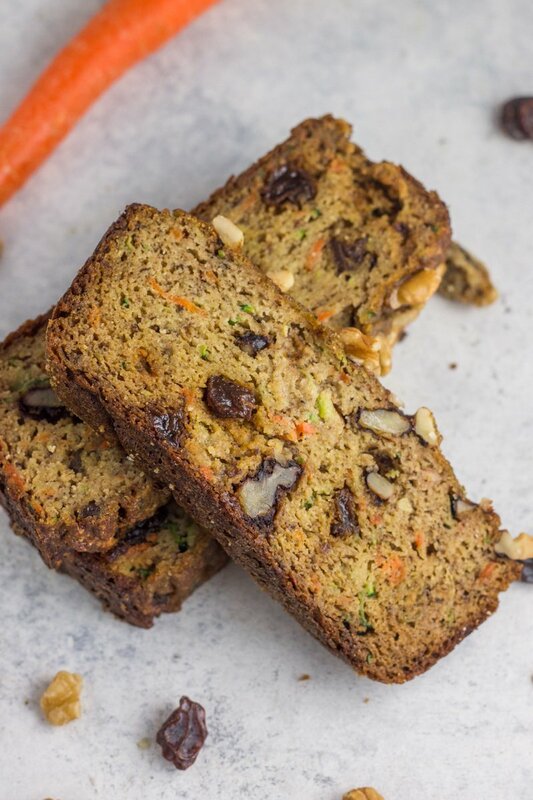 This grain free, paleo morning glory banana zucchini bread is naturally sweetened and packed with hidden veggies!